LIMITED TIME - Save an Additional $257.90! Invest in Joel's DVD Series and get FREE Copy of "How to Build a Million Dollar Medical Transportation Company" and "Dispatching for Dollars"
You have no idea how pleased I am to share with you this very exclusive and content-rich DVD Series, my "Boot Camp Seminar." Like my best-selling "Million Dollar Seminar DVD Series," my "Boot Camp Seminar DVD Series" is a literal taping of one of my live events that attendees have paid thousands of dollars to attend. But now, with this "one of a kind" series I'm going to come into your home and teach you further exclusive strategies for literally a fraction of the cost! The motivation for hosting my "Boot Camp Seminar" is because, in traveling and working with clients from all over the country, I clearly see the many common mistakes that transportation providers are experiencing. These mistakes are preventing them from further growing, expanding and increasing their profitability! As I always say, "A smart man learns from his mistakes. But a truly wise man learns from the mistakes of others. Why - because it's a whole lot easier and much more cost effective!" I, and many others, have already made costly mistakes so you don't have to! How to grow your business! It's one thing to start your business, but what's next? How do you grow in a troubled economy? How to invest in your business! You aren't planning on working for ever, are you? Well, you need to know how to structure and increase the value of your business so when you leave your business someday you won't have to work again! How to diversify your business! Joel is literally going to reveal new business ideas that you can start by leveraging your existing transportation business! How to understand and deal with Medicaid and brokers so that you gain higher rates of reimbursement and profit earning potential! How to avoid making many common mistakes that many transportation providers are making from all around the country! And discover, much, much more! Especially if you're working with or anticipate working with a broker, then you absolutely NEED to study this series! I go into GREAT detail discussing how brokers work and how you need to approach and handle working with brokers! 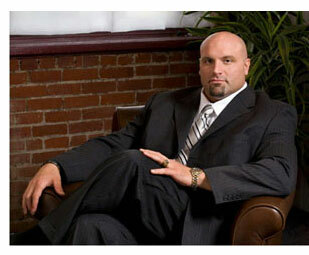 I often here "Brokers don't negotiate." Yeah right! I'm going to show you that not only brokers do negotiate but I'm also going to teach you how to position yourself so that they increase their rates! I've personally worked with and helped transportation providers negotiate considerable increases in reimbursement. In my "Boot Camp Seminar DVD Series" I guarantee that you're entire perspective regarding brokers is going to change…and change considerably! As Carlos Banks, owner of "The Wheelchair Taxi" and "Quick Time Courier Service," says "This Boot Camp Seminar is a punch-in-the-mouth dose of reality! Everyone, every transportation provider should be forced to study this material." And just watch! In this DVD Series you're also going to hear members of the audience and me discussing different business ideas that you can literally start pursuing rather quickly! The benefit - you're going to be able to build new streams of income! In times such as these, where we suffer from economic uncertainty, it's all the more imperative that you are a diverse yet sound business. You need to be versatile and diversified to take advantage of new business opportunities to generate multiple sources of revenue while not losing your core business identity. Bottom line, all of the various strategies, elements and components that I discuss and share in painful detail in both my DVD Series are critical to achieving your long-term growth and success. Again, I already made mistakes so you don't have to! I've already achieved success so that you can duplicate and even exceed my success! I certainly won't bore you with details trying to explain to you the importance of learning from others. My goal always has been and always will be to partner with like-minded entrepreneurs. So if you're a motivated entrepreneur and you understand the importance and value of mentorship and learning from others, then I'm putting a "Golden Ticket" in your hands with this information. Whether you're new to the medical transportation industry or you've been in business for years, I can assure you that you're guaranteed to learn and improve your business through the help of my DVD Series. Again, I could tell you the value of this information all day! But there is nothing more powerful than the words of others. So I encourage you, listen to just some of the video testimonials - most of which are from entrepreneurs already in business! Whether you invest in my "Million Dollar Seminar" and "Boot Camp Seminar" DVD Series together for a sizeable discount or individually, they will be rushed delivered via certified mail right to your door! Further, by investing in either or both of my DVD Series, I'm also going to give you a FREE copy of my best-selling "How to Build a Million Dollar Medical Transportation Company" AND "Dispatching for Dollars" e-manuals! That alone is a savings of $257.90! And who says you don't get anything for FREE anymore! You can't beat the savings and the opportunity! I can assure you that my DVD Series are not a bunch of "feel good" fluff! These are very real and targeted solutions specific to our industry. So again, check out the video testimonials and get started. This will be one of your most valuable investments in your business! Learning from the Best Since 2004, I've been helping motivated entrepreneurs to start, build, expand, streamline, and increase profitability in their NEMT businesses. In working with clients from all across the country, I can tell you with all certainty that there exists real opportunity in all regions of the country! I started with humble beginnings and grew my business into a very lucrative and prosperous venture. My business transformed from a one-man operation into a fleet of vehicles that serviced my NEMT market as well as local businesses, airports, universities, and more through our professional transportation and courier services. Do you think that my success happened by accident? Of course not! Not even a chance! But the good news for you is that in my Million Dollar DVD Series and in my Boot Camp DVD Series I'm going to reveal all of the details - both my successes and failures! Now seriously, how many other "gurus" are willing to be so honest to share their losses in addition to their successes? Again, "A smart man learns from his own mistakes. But a truly wise man learns from the mistakes of others. It's a whole lot cheaper and far more convenient!" In this Series, you're also going to hear some outstanding Q&A - questions that you too probably have! All throughout the Seminar attendees ask questions to include a big Q&A session to close out the Seminar. Remember, you're not only going to be learning from me, but you're also going to learn from others in attendance! Don't be deterred by reality! I know the economy stinks. It's in the tank. And you don't need to be an economist or have a doctorate to know that the economy is NOT coming back any time soon. But one of the greatest aspects about this business is that it's literally Recession-Proof! 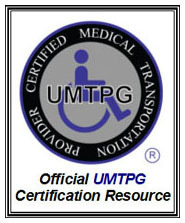 With a medical transportation company you will NOT be participating in this recession! Why am I so confident in saying that? Because by investing in your own medical transportation company you're literally going to be leveraging two of the fastest growing niche markets - despite the floundering economy! You're going to be leveraging the medical industry and the elderly population - both booming markets! So it doesn't matter because from here to the end of time, regardless of the status of the economy, people are going to need transportation and medical attention! As I mentioned before, if you're at all in doubt of the quality of content and material I provide, then just watch the video at top. Like-minded entrepreneurs, speaking from the heart and of experience, share the value and importance of this material far better that I ever could! And let's not forget - $497.95 is a fraction of attendance and travel expenses. With this Series you can study and review these DVD's as many times as you like. Share them with your spouse, business partner, managers, and employees. Like other business owners do, use them as a training resource. So if you're ready to start building your own Million Dollar Medical Transportation Company, then stop wasting time and start today! Invest, learn, and get started! And as always, I will "See you at the Top!"